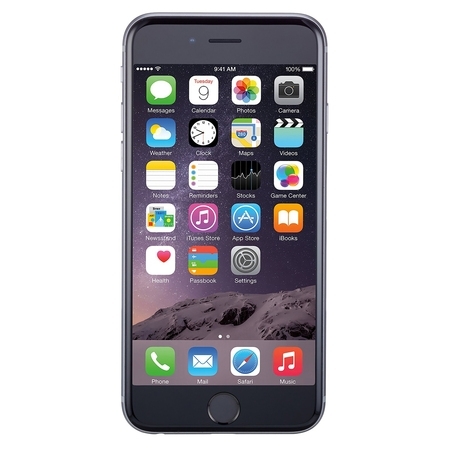 iPhone 6 Plus features a stunning 5.5–inch Retina HD display, amazing cameras, and many advanced features, all in a breakthrough design. With innovations that deliver higher contrast, dual-domain pixels for more accurate color at wider viewing angles, and an improved polarizer, these are the thinnest, most advanced Multi-Touch displays. Its incredible power is enhanced by an M8 motion coprocessor that efficiently measures your activity from advanced sensors, including a new barometer. So you can do more, for longer periods of time, with better performance and battery life. They support advanced camera and video features, like new Focus Pixels, better face detection, continuous autofocus, and enhanced noise reduction, so it's easier to shoot higher-quality photos and videos. It lets you shoot stunning 1080p HD video at 60 fps, capture more dramatic slo-mo video, and for the first time, create time-lapse videos. Continuous autofocus provides constant focus as you capture your footage. And cinematic video stabilization keeps your shots steady, even when you're not. This refurbished phone undergoes an extensive certification process to ensure it meets the highest standards. Phone is guaranteed to be fully functional and will have some cosmetic blemishes. Phone comes in non-original packaging with a charger and a data cable. Phone will not work with Sprint, Verizon, Boost Mobile, Virgin Mobile or any other CDMA network.